Η Audi επέλεξε την έκθεση ηλεκτρονικών CES στο Las Vegas, για να παρουσιάσει το εσωτερικό του νέου Audi A3 το οποίο το είδαμε πριν μερικούς μήνες σε spy φωτογραφίες. Η καμπίνα του νέου A3 διαθέτει καλύτερης ποιότητας υλικά με την κεντρική κονσόλα να είναι ελαφρώς στραμμένη προς τον οδηγό. Υπάρχει κουμπί εκκίνησης του κινητήρα, ηλεκτρικό χειρόφρενο, MMI οθόνη 7″ στη κορυφή του ταμπλό η οποία βυθίζεται μέσα στο ταμπλό, με τον επιλογέα του να βρίσκεται στην κεντρική κονσόλα πίσω από τον λεβιέ των ταχυτήτων, με το κεντρικό κουμπί να είναι τεχνολογίας αφής. Κατά τα άλλα οι αεραγωγοί και τα υπόλοιπα είναι παρόμοια με το εσωτερικό του πρωτότυπου A3 e-tron concept. Η Audi περιγράφει το νέο σύστημα MMI ως “όταν η Γερμανική μηχανολογία, συναντά την Silicon Valley”. Έχει κατασκευαστεί με την βοήθεια της Nvidia και χρησιμοποιεί έναν διπύρινο επεξεργαστή Tegra 2 1.2 GHz και είναι μέρος του ΜΜΧ (Multi-Media eXtension) το οποίο δίνει την δυνατότητα στο αυτοκίνητο να συνδεθεί στο internet, να χρησιμοποιεί το σύστημα πλοήγησης αλλά και το σύστημα τηλεφώνου. Αργότερα, το σύστημα θα αναβαθμιστεί με τον τετραπύρινο Tegra 3 στα 1.4 GHz. Το νέο A3 θα έχει επίσης Head-Up Display το οποίο μπορεί προαιρετικά, μπορεί να συνδεθεί με πολλά κινητά τηλέφωνα μέσω του πακέτου “Phone Box”. Το νέο Α3 θα κάνει ντεμπούτο τον Μάρτιο στη Γενεύη και οι πωλήσεις του θα ξεκινήσουν μέσα στο 2012. Περισσότερες λεπτομέρειες μπορείς να βρεις στο δελτίο τύπου που ακολουθεί. Audi is extending its leadership in the area of automotive electronics with a spectacular range of innovations. The company is now presenting its current and future solutions at the Consumer Electronics Show (CES) in Las Vegas, USA. These solutions relate to the key word Audi connect – intelligent networking of cars from Audi with the owner, the Internet, the transportation infrastructure and other vehicles. Audi is presenting numerous innovations in seven technology fields related to Audi connect, several of which will soon enter series production. Connectivity Audi is integrating the high-speed mobile communications standard LTE into its cars. In the future, the Audi Phone Box will couple all mobile phone types perfectly with the car. 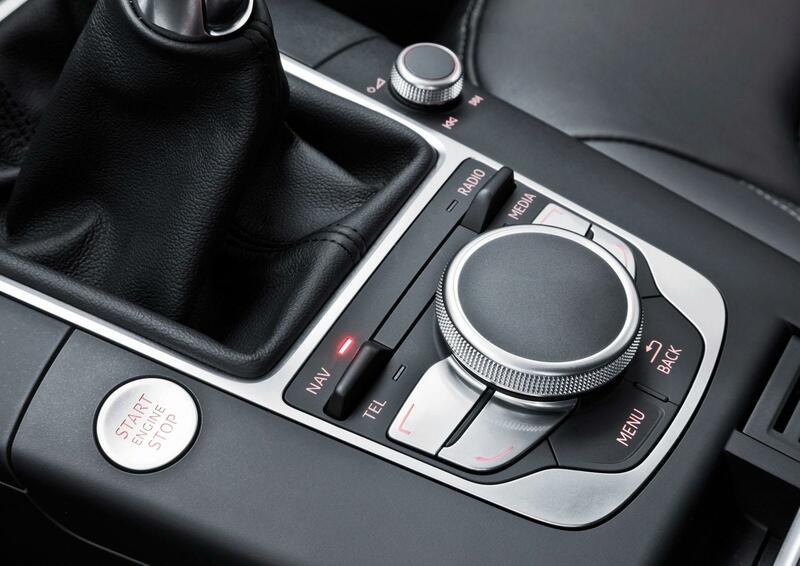 Operating concept Audi is now introducing the intuitive touchpad in its compact vehicles as well. Advanced head-up technology with innovative gesture control system. Seamless integration of mobile apps into the intuitive Audi operation concept. Voice control Audi is already the only manufacturer to offer its customers an online Google voice-activated POI search (point-of-interest search with voice control system). Online services Integration of Google Earth/Google Street View online into navigation systems. Mobile computing Infotainment architecture with the latest processors from Nvidia. Assistance systems From lane assist systems all the way to the vision of piloted driving. 3D graphics Brilliant 3D graphics on an ultra-slim display. The term ‘Audi connect’ spans the technical field of networked mobility, in which Audi has the global leadership role. At the CES, the world’s most important electronics trade show, the company is presenting its technologies of today and its developments for tomorrow. Many model ranges, beginning with the compact A1, can optionally be connected to the Internet. Front and rear passengers can conveniently surf and e-mail from their smartphones and other mobile end devices via an integrated WLAN hotspot. 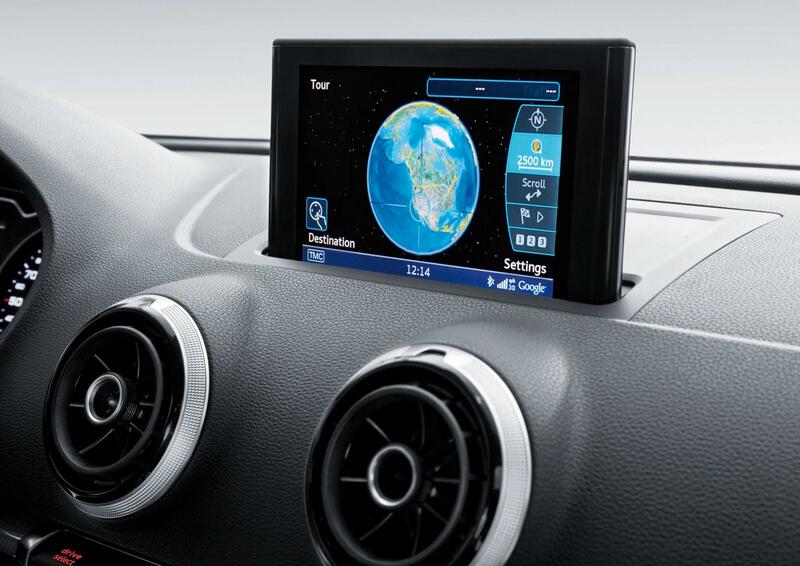 For the driver, Audi has developed customized Audi connect services – such as navigation with Google Earth images, Audi online traffic information, the POI search by voice control and Google Street View. 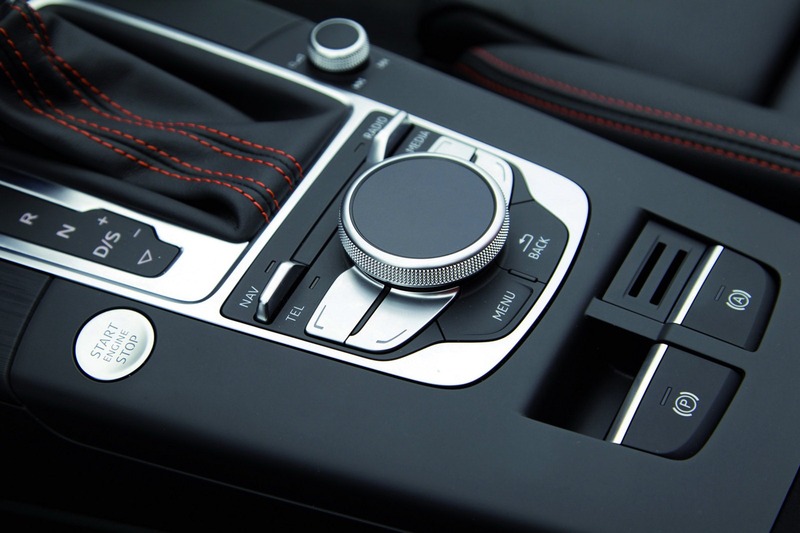 In most models, three user control levels are provided for utilizing these services – the large rotary pushbutton, the touchpad MMI touch and a high-performance voice actuation system. 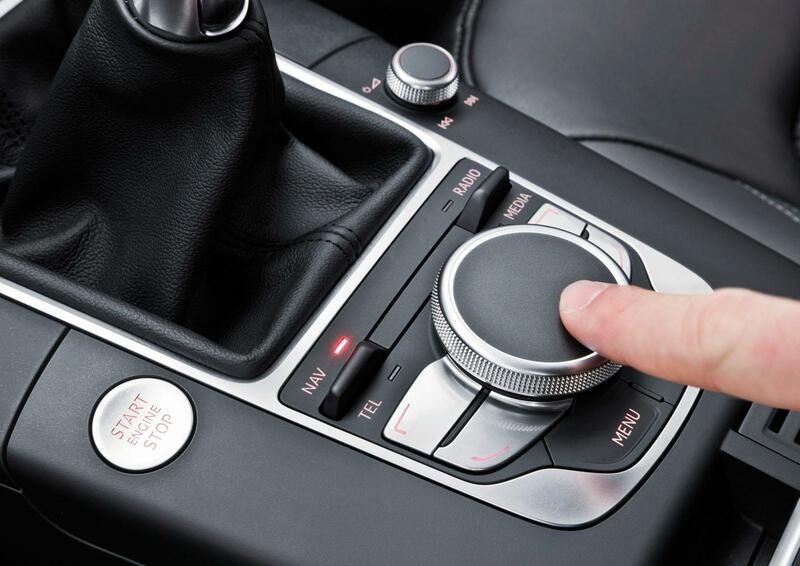 In future vehicles an innovative gesture control system will be added to the range of input options. The technologies that Audi is developing for the near future continue along these lines. The key expression “Data in the cloud” refers to data located on servers that enters the car, such as music and – for passengers – videos. Smartphone apps make it possible to configure the car remotely – this will be an especially attractive feature for electrically powered e-tron models. 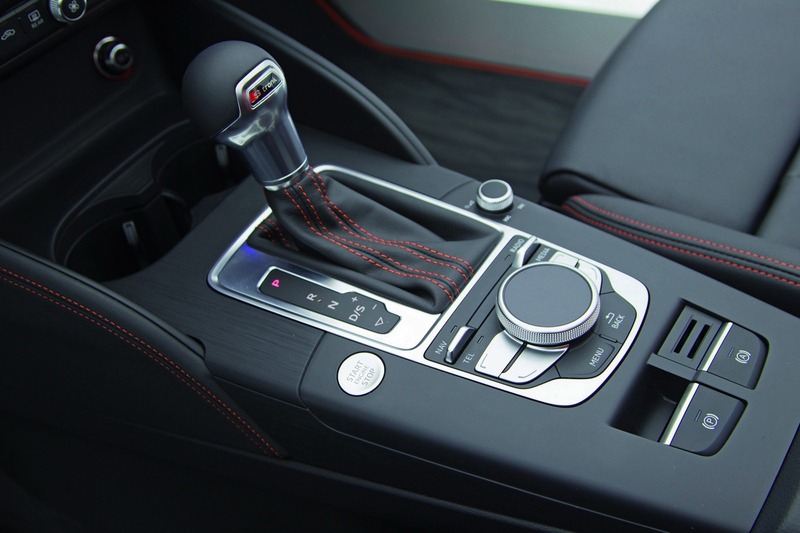 Serving as the foundation for these new Audi connect services is the new LTE (Long Term Evolution) mobile radio standard, which can transport large amounts of data – Audi is implementing it in the automobile. LTE can also play an important role in future car-to-X communication. The new technology involves networking cars with each other and with the transportation infrastructure – it has the potential to make driving more economical and safer. Car-to-X communication also plays a role in what is known as the intersection assistant – one of several assistance systems that Audi is developing. There is one core requirement for all new services of Audi connect: they should make driving more comfortable and therefore further relieve the driver. A prime example of this philosophy is the head-up display, which displays key information in the windscreen. Here too, Audi is driving progress – with innovative projection technologies and displays that appear to be located in the real environment. 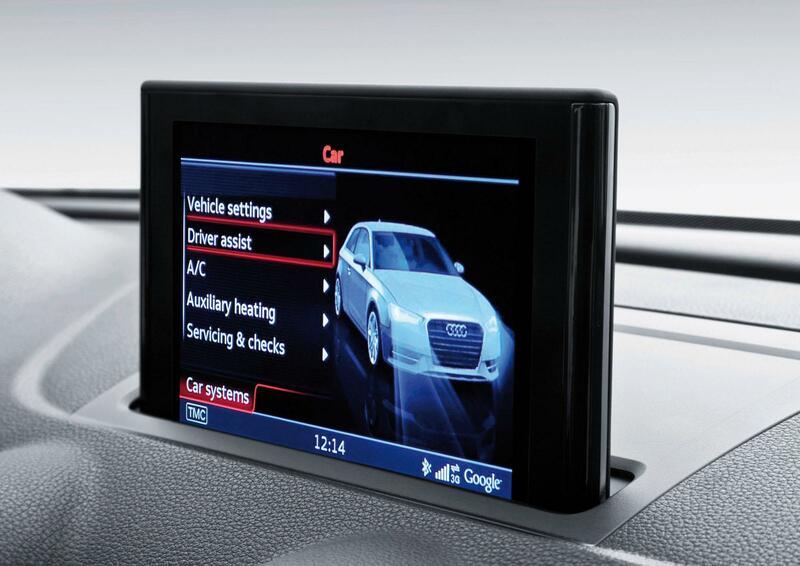 The new A3, which will soon make its debut, already exhibits many user control innovations. Its touchpad is integrated in the round rotary pushbutton, making it a touchwheel. The monitor is also a new development and makes pin-sharp 3D graphics possible, while the electrically deploying 7-inch display is only 11 millimeters thick and looks as elegant as an iPhone. Another innovation is the Audi Phone Box, a universal interface between a cell phone and the car. Audi is embarking on a new era of infotainment hardware in the A3 – and the vehicle marks the premiere of Audi’s modular infotainment platform. The central computer of the MMI system integrates what is referred to as the MMX board (MMX: Multi-Media eXtension), a plug-in module whose highlight is a powerful Tegra processor from Nvidia. Audi can always keep the modular hardware up-to-date by replacing the MMX board. Audi will continue to use the latest and fastest chips from market leader Nvidia in its vehicles in the future. Its joint venture with this company, founded in 2005, is proving very successful. 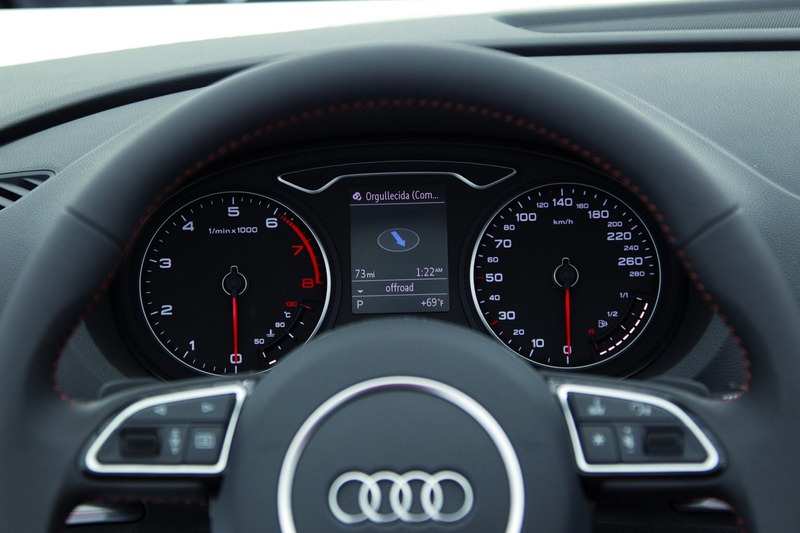 When it comes to software, the brand with the four rings turns to infotainment solutions from e.solutions GmbH, a joint venture between Audi and the Finnish company Elektrobit. The young company buys functional software on the global market for such functionalities as navigation and telephony, and integrates it into the e.solutions software suite. 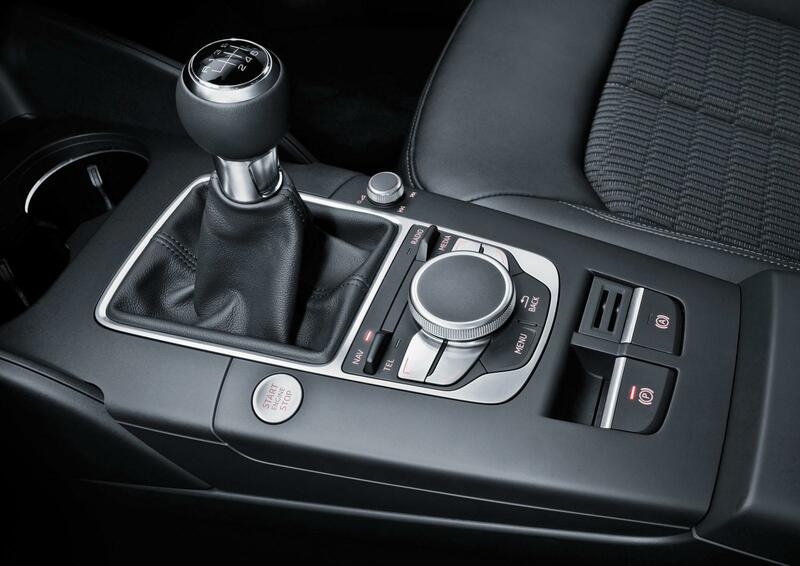 In the new A3, Audi is further extending its classic strength – simple, easy-to-understand ergonomics. This compact car, which will be launched in many countries very soon, offers many advanced solutions. One of these is an electromechanical parking brake, which replaces the mechanical component. Operation of the air conditioning system has been further enhanced. Many important functions can be controlled via the multifunction steering wheel – including a freely assignable button – and can be viewed in the driver information system display. 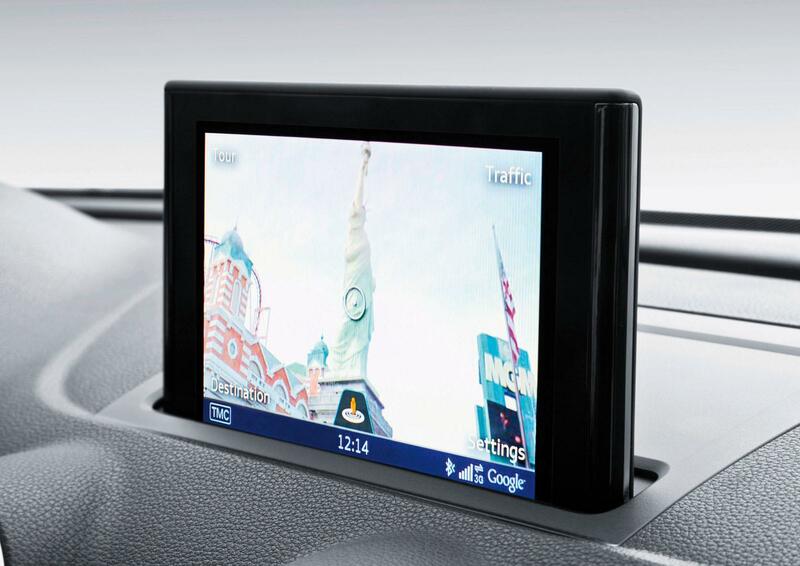 The most interesting innovations, however, are in the area of infotainment – its hardware, software and user control. Audi and Nvidia “German engineering meets Silicon Valley” – a fitting slogan to describe Audi’s partnership with the Nvidia Corporation. 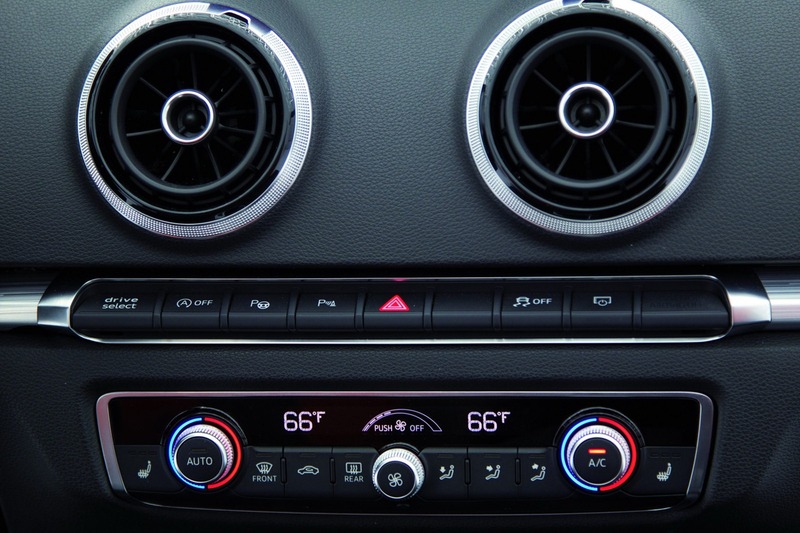 Utilizing the fast graphic processors that the company supplies for many car model series, Audi has attained a leading position in the infotainment area. These processors have enabled innovations such as the world’s first integration of Google Earth images in the navigation map. Audi and Nvidia began their joint venture in 2005. The A4, which appeared in 2007, already used a chip from this producer, which is based in Santa Clara, California. Two years later, the A8 attained a new dimension of visual display using Nvidia technology. Now, Audi and Nvidia are launching the next stage of their partnership – the new modular infotainment platform utilizes Tegra processors. 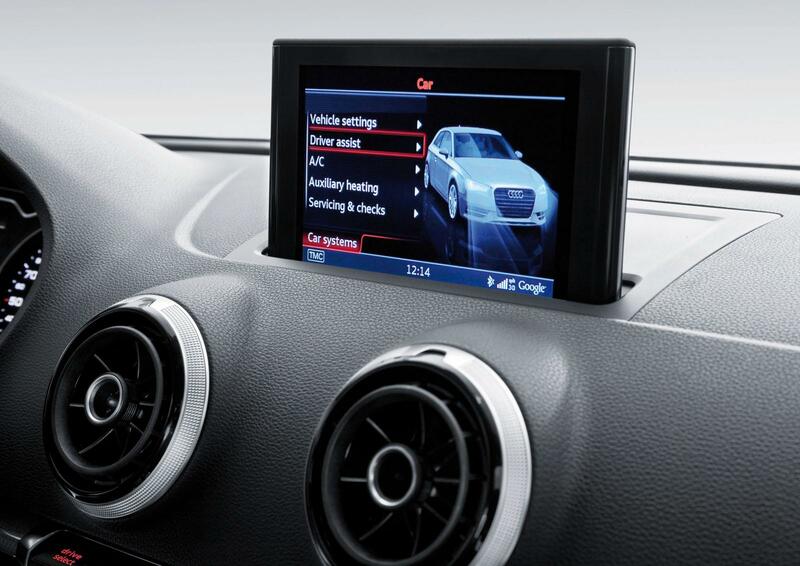 The modular infotainment platform The Audi A3 is the first model of the brand to offer features from the modular infotainment platform. Audi is using this radically new architecture to solve a challenge that is becoming increasingly urgent – innovations in consumer electronics and rapid gains in computing power are being introduced at speeds that are much faster than the product cycles of automotive manufacturers. The central computer in the modular infotainment platform, such as the one Audi currently uses, comprises two units – the Radio Car Control Unit and what is known as the MMX board (MMX: Multi-Media eXtension). The latter is a high-performance plug-in module which integrates – along with the working and flash memory – the latest Tegra processor from Nvidia; it is responsible for all voice control, online, media, navigation and telephone functions. The new modular layout makes it easy to update the hardware – the fact that the MMX board can be replaced keeps the system at the cutting edge of technology. In the new A3, the T 20 processor of the Tegra 2 series from market leader Nvidia is used – it is a dual-core processor with 1.2 GHz clock frequency and a fast graphics card. It accelerates playback of many audio and video formats such as mp3 audio and mpeg4 video, which now dominate in the world of mobile entertainment. The T 20 processor works together with a graphics program (what is known as a 3D engine) from the specialist Rightware – making Audi the first automobile manufacturer able to display three-dimensional graphics in a vehicle. The new A3 is saved as a data model in the system. 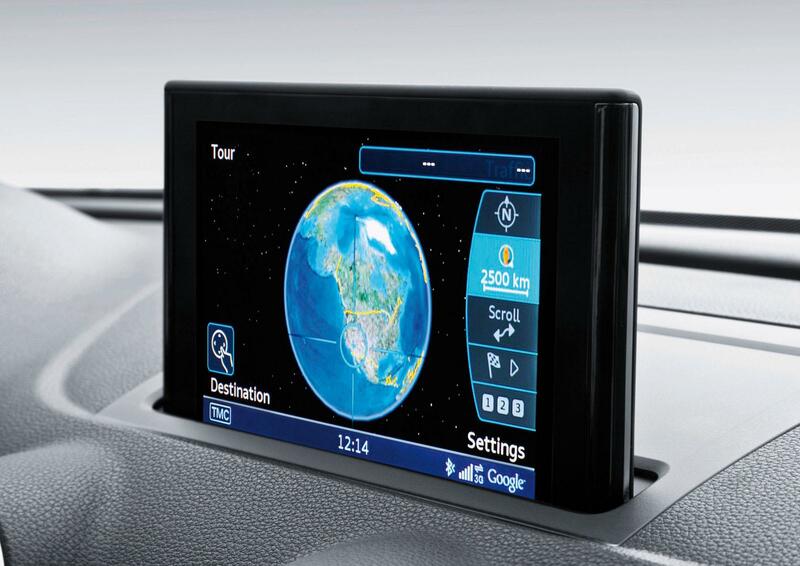 Its drivers and passengers can view it virtually in detail and from many angles in the “Car” menu on the MMI navigation plus system. An all-new preview window has been integrated into the main menu. In 2012, the next generation of processors will already be making its way into Audi cars – the Tegra 30, which Nvidia recently introduced. With built-in quad-core technology, it operates at up to 1.4 GHz clock frequency. As in the T 20, its power requirements are minimal – which fits in perfectly with Audi’s efficiency strategy. Nvidia is planning even more powerful chips for upcoming years, and Audi will introduce them in its cars soon after they appear. e.solutions GmbH The software that runs on the MMX boards also has a modular structure, and Audi developed the software largely independent of the hardware. In mid-2009 e.solutions GmbH was founded – a joint venture between Audi Electronics Venture GmbH, a fully owned subsidiary of AUDI AG, and Elektrobit Automotive GmbH, a division of the Finnish IT company Elektrobit. Audi contributes its knowledge of automotive infotainment to the partnership, while Elektrobit contributes its competence as a globally active software company in the infotainment and system integration fields. 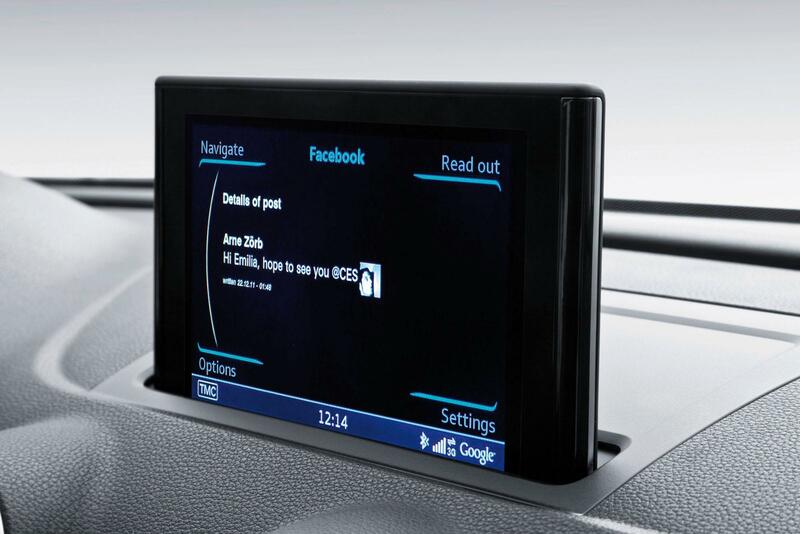 More than 150 software specialists at the young company’s facilities in Ingolstadt and Erlangen are working to develop new modular infotainment solutions. e.solutions GmbH purchases functional software on the global market, e.g. for navigation or telephony, and integrates it into the e.solutions software suite. New MMI terminal with touchwheel Along with voice control, the MMI terminal is also used to control the many infotainment functions in the new Audi A3; it is located on the center tunnel console. 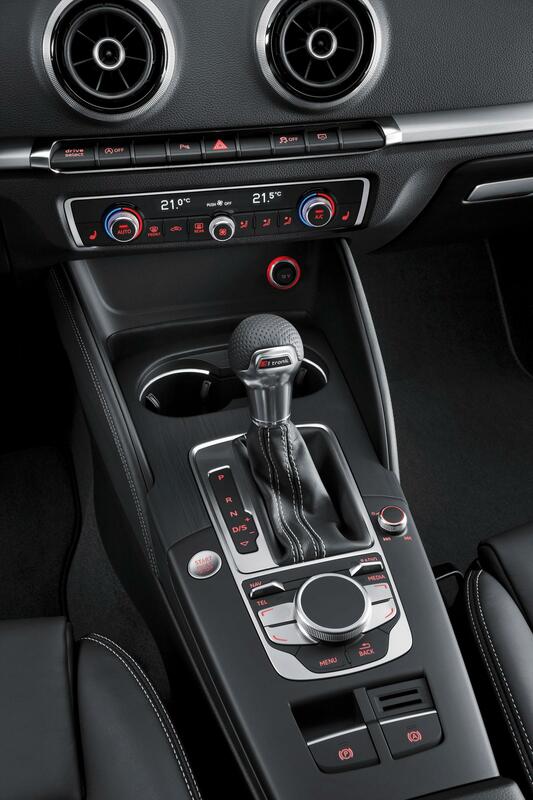 Engineers designed a new interface from the ground up, giving special consideration to the slim center tunnel console compact Audi model. The central component here is the touchwheel – which merges the touchpad and rotary pushbutton into a single part for the first time. The round pushbutton has a cap with a touch-sensitive surface that lets users enter characters by finger movement. The handwriting recognition system is of the highest quality, and the large touchwheel moves with high precision, and clicks precisely into place. The pad has a ring surround that is illuminated by an LED and a light conductor. Two rocker switches in front of the touchwheel directly operate the most important areas of Telephone/Navigation and Media/Radio, while a Menu key and a Back key complete the key set. The four softkeys for navigating through the menus are also chrome, as are the two rocker switches that are used for direct operations. 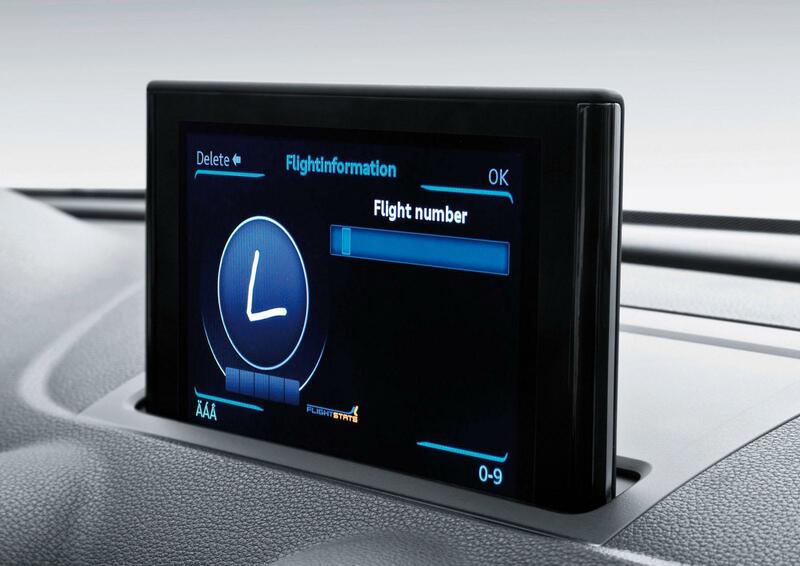 A volume control with integrated skip function completes the MMI terminal in the new Audi A3 and makes it possible to operate it intuitively. Audi has completely revised not only the operation, but also the structure and many details of the menu. In the media area, for instance, the player and media center are clearly separated; titles, albums and artists can be located directly via free text search. The POI search in the navigation system has been simplified; traffic information can be called up via the map. 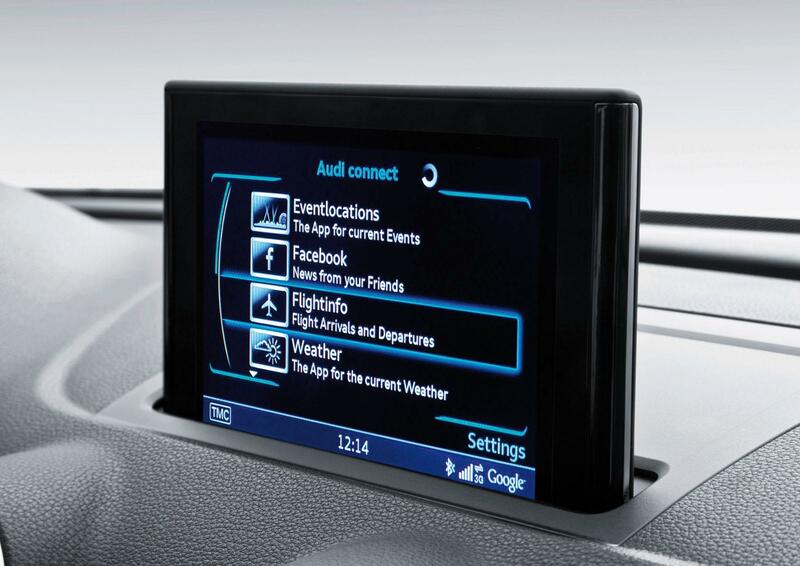 The connect services have been grouped in their own menu; the Audi drive select control system is operated via the CAR menu, and many functions in the telephone area have been improved. 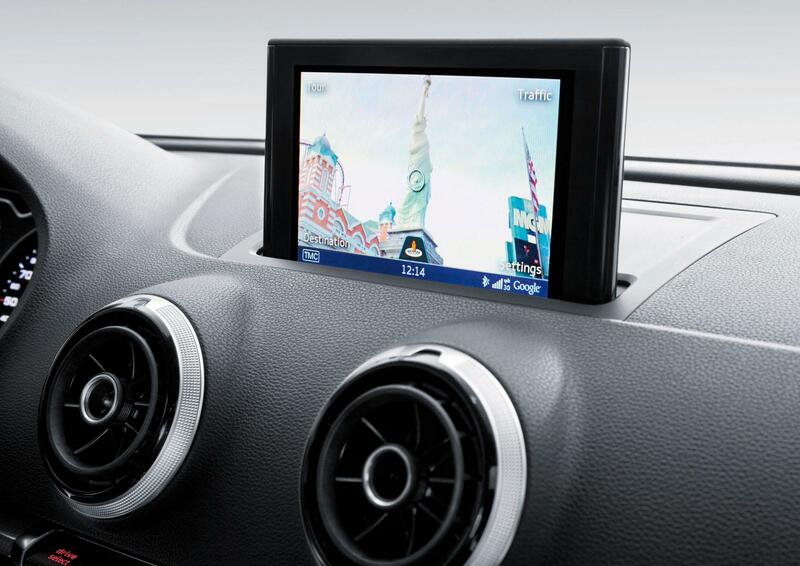 The new monitor The displays in the new Audi A3 can be viewed on a monitor with a 7-inch diagonal. Thanks to its very high contrast and resolution of 800 x 480 pixels, it delivers brilliant, very sharp 3D graphics; highly efficient LEDs supply its backlighting. The display extends electrically from the instrument panel in an elegant movement, and it is slightly angled towards the driver. It is just 11 millimeters thick and is therefore almost as thin as an iPhone. The monitor’s look is also reminiscent of the Apple cell phone – its cover glass plate is mounted directly to the surface of the TFT screen in a special lamination process. No air remains between the two components, and this improves optical performance. The painted housing is produced from ultra-light magnesium, which saves about 50 grams in weight. High gloss and chrome accents lend it an elegant touch. The Audi Phone Box Another option that is available in the new Audi A3 is the Audi Phone Box; it couples cell phones of any type to the vehicle perfectly. 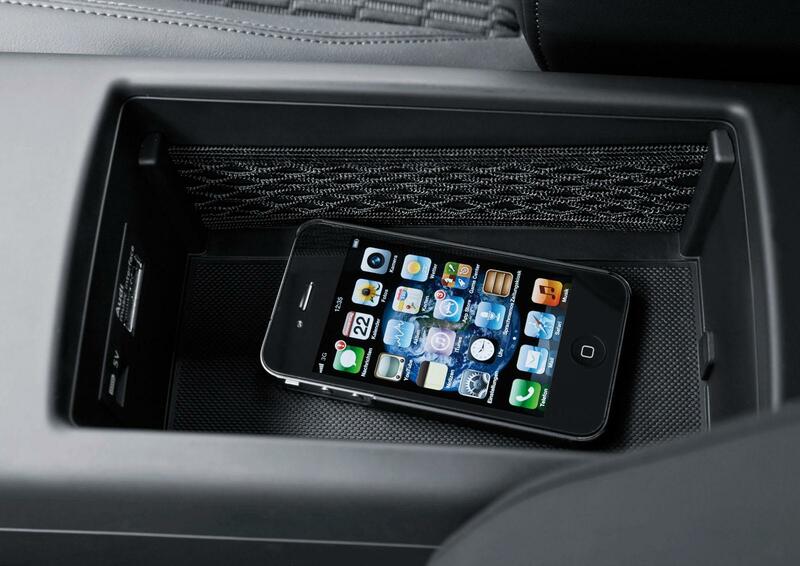 Its key component is a universal planar antenna, which is integrated in the center armrest’s phone storage tray. The telephone utilizes near-field coupling to communicate with the flat planar antenna, which routes signals by wire to the vehicle antenna via an amplifier. The power supply for the cell phone runs via a USB port in the Audi Phone Box. Over the mid-term, Audi is working on a solution for contactless charging of cell phones. The head-up display of the future There are many Audi display and control technologies that make driving more relaxed and under control. One of them is the head-up display, which lets drivers keep their eyes on the road. All key information from the areas of navigation, traffic signs, car and assistance systems appear to hover about 2.3 meters (7.55 feet) in front of the driver, in his or her direct field of vision. The next generation of this technology will take a significant step forward. A type of display known as the contact-analogue head-up display positions symbols right in the real environment. As an Audi approaches an intersection with the navigation system activated, the driver sees a transparent route arrow outside of the vehicle, positioned precisely at the real intersection. As the intersection nears, the arrow becomes larger. At a distance of 10 meters (32.81 feet), it appears to be about the same size as a real physical arrow on the pavement. That is not all that contact-analogue head-up displays will be able to do. In hilly terrain, the navigation arrow can show the direction the road will take after the hilltop. If the driver is driving with adaptive cruise control activated, the distance to the vehicle ahead is displayed conspicuously. If the night vision system is active, and a pedestrian steps out onto the street, the display precisely shows the direction the pedestrian is coming from and his or her distance from the car. In the contact-analogue head-up display, the projection window – which is referred to as the ‘eyebox’ – is located somewhat higher on the windshield than today and is about as large as an iPad. 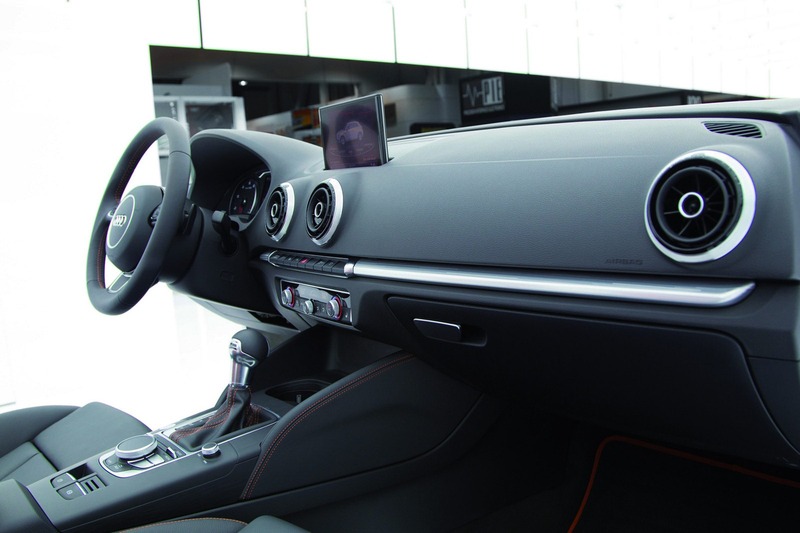 Audi’s work on head-up displays is driving progress in all technology fields. In the future, it will be possible to show information only to the driver, the front seat passenger or all occupants of the vehicle. The solution that Audi is presenting at the CES takes up this idea. The driver and front passenger each have their own head-up display available to them; the driver’s is contact-analogue, while the passenger has a conventional head-up display. Both displays show digital travel guides, news and pictures from video telephone calls. In the interest of safety, the driver is shown only static images and simple animations. If the passenger uses a wiping motion to pull the applications into his or her line of vision, all video functions become available. Visible to all occupants is a central third projection, whose image appears to lie on the windshield. The driver or front passenger can move contents they are currently viewing to this central field with an easy, quick movement so that they can view it together. A camera detects the movements and directs the appropriate signals to the system.